It’s World Environment Day on the 5th of June, and it’s the day organizations and individuals the world over raise awareness on various topics related to our environment. This year, the theme is ‘Seven billion dreams. One planet. Consume with care’. The focus is on making our general consumption intelligent, without harming the planet and leaving behind resources for future generations. Kids in several countries join in the observance of this day by organizing various activities that promote sustainable consumption. 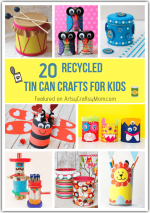 We can increase awareness in our own little ways too, and with kids at home, you can’t find a better way than by doing recycled crafts!! 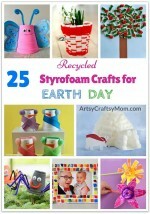 So here we round up the best of the internet, with special crafts for World Environment Day. You can use this opportunity to start a conversation with your kids about protecting our planet and keeping our environment safe. 1. 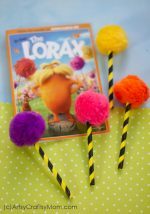 Let your little ones get in touch with the earth and search for natural materials to make these quaint little dragon flies. 2. You can’t celebrate environment day without keeping your surroundings clean!! Let this cute frog trash can help you; you can also use plastic canisters instead of milk jugs. 3. This gorgeous papier-mache globe requires just a balloon and lots of newspaper! A perfect way to remind us of the planet whose resources we’re using! 4. The best kind of music is the natural kind! Caress the wind with this one-of-its-kind recycled key wind chime. 5. Let’s not forget our feathered friends! Make a hanging bird feeder out of old milk cartons. Get some paint and decorate any way you like! 7. ‘The Earth laughs in flowers’, said Ralph Waldo Emerson. He would surely agree after seeing this beautiful flower petal sun catcher! 8. This leaf lantern is an impressive work of nature art. And it’s unbelievably easy to make! 9. On World Environment Day, Mr. Potato Head dresses up as Mr. Recycle Head, and he looks great!! 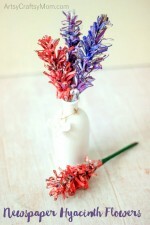 Repurpose an old can and other craft supplies to make this little guy! 12. If you’re replaced your plain bulbs with CFL ones, don’t throw them away yet! 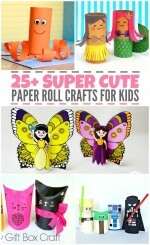 Use them to make these super cute recycled hot air balloons! Be careful though, and be with your child throughout. 13. No one would ever guess that these sumo wrestlers were made out of plastic bottles!! They make for great bowling pins too! 14. You throw away so many bottle caps in one year. 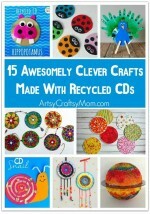 You wouldn’t do it if you knew you could make such lovely bottle cap animals with them! 15. One more for the nature trekkers – butterfly finger puppets decorated with you’re the treasures found during your nature walks! We’re sure you didn’t know there was so much fun to be had from waste!! Just think, you’re reducing your consumption so much by making use of things that you would otherwise throw away, rather than buying new supplies. So next time you’re about to throw something away, just stop and think – you might be able to turn it into something beautiful!